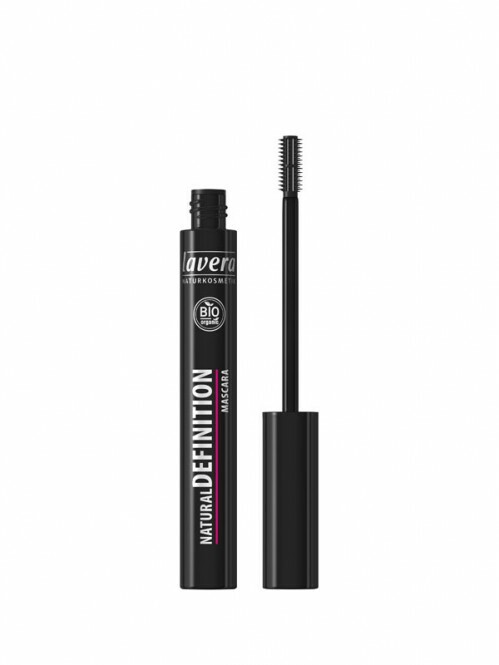 The Natural Definition Mascara separates lashes perfectly with no clumping. The fine precision brush provides perfect lash definition. The vegan mascara formula coats each lash with flexible and thickening bamboo fibres, creating natural volume. Application: Hold the brush horizontally and move it from side to side with a zig-zag motion, from the roots to the ends of the lashes. Repeat as necessary. Expert tip: For even more lift, use an eyelash curler before applying the mascara.